The news about patch 4.3 is coming fast and furious! I have a few posts in the works at the moment, none of which seem particularly relevant in the face of so many announcements. So instead, you’re going to get me doing a bit of rambling. First of all, for the most part I really like the tier sets they’ve previewed thus far. I even like the mage one, with a caveat. I do not want to wear it, but I like it. I think it’s going to look amazing on a gnome mage. I think it would not have looked amazing on my mage, but I’ll look forward to seeing it modeled by the esteemed Fsob. I think the other tier sets are strong, but there’s something they said that worries me. Most of this tier was attempting to play off a new ability the class got in Cataclysm, so for instance Time Warp for mages and Wild Mushroom for druid, in some cases (like warrior or warlock) there’s playing off of the raid and those themes, and then for others it’s a bit more just doing something we think represents the class in a more abstract manner. We’re putting them up as soon as they’re done, essentially, so from here on out they’re likely to be posted rather randomly. I read this blue post and I cringed…Does this mean that this is what the paladin tier set is going to look like? I mean, it’s… I guess it’s not… It could be worse, but it’s just SO YELLOW. 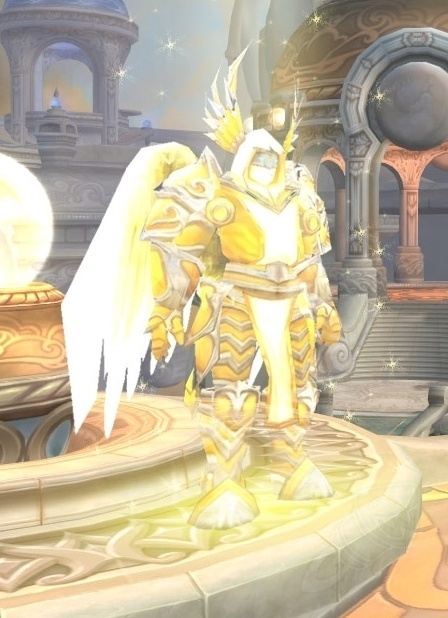 This may sound funny coming from someone playing a paladin, but I don’t even like yellow. Fortunately (as Voss reminded me) if I hate the tier set, it’s coming out when Transmogrification is coming out, so it isn’t going to matter! I am happy to hear that there will be a “dungeon set” for the three new five-mans. Dungeon sets were something I really enjoyed from BC and Vanilla; it was nice to have a cohesive set of visually matching gear to pursue even if you weren’t a raider, and even now these remain some of my favourite sets. Everyone likes to match their gear, right? Well, some people might not, but that’s a whole other concern. Yes. This cannot come soon enough for me. If I never see another troll again in-game (sorry, my Berserking friends) it will be too soon. I looked at the armory of all my heroic-running characters to add this up and illustrate my point. I have run Zul’aman fifty-four times. I have run Zul’Gurub fifty-five times. That’s a total of one hundred and nine troll instances since they were released. I am done with trolls, and I don’t think the idea of having an “upper” tier of heroics was necessarily a great one, either. Sure, it was fun initially because the troll heroics are pretty tough, require CC and coordination. But since maxing VP every week is the model for the fastest gear acquisition (and being in a progression raiding guild, I made the choice to maximize mine each week), there was definitely an obligation to do troll heroics, often. I still find that I can sometimes enjoy them – the fights are interesting, pugs can be just inept enough to keep things tense – but I will be greatly relieved to go do some other instances for awhile. And the new instances look great! From a lore perspective, I am fascinated to go to the Well of Eternity. The End of Time also has an awesome hook. Post-apocalyptic Azeroth? Fighting shades of faction and other leaders? Sign me up! 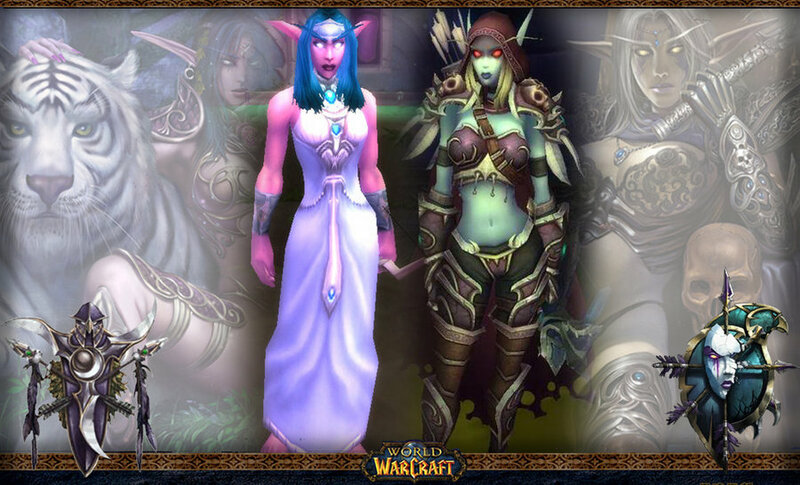 I only hope that because she is going to be a dungeon boss, that Tyrande gets a much-needed model upgrade. Not a lazy upgrade, either – an honest-to-goodness model made just for her. After the art debacle, she surely deserves that much! "You know, I've been dead for AGES and I still have better textures than you." (Above wallpaper image compilation is by Jujin on Deviantart). 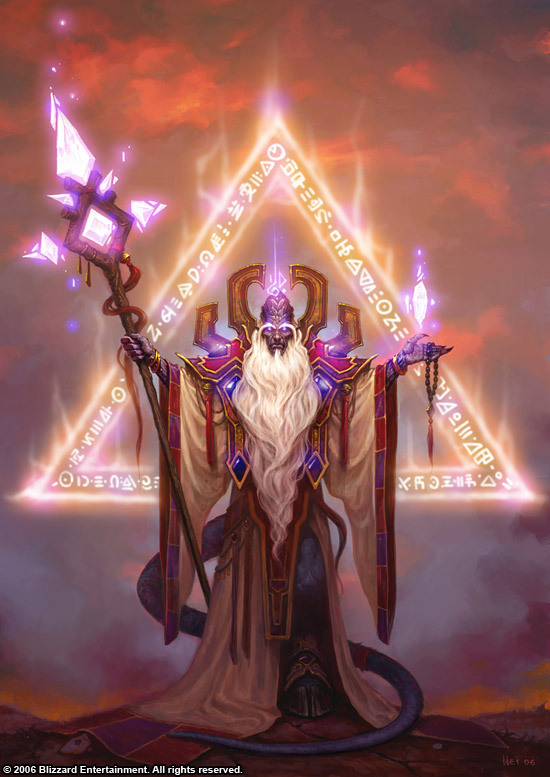 Another aside, because I can’t help myself – why not Echo of Velen? You know he could be scary! Heck, Eredar are scary, aren’t they? Yes, I know, draenei aren’t getting any love this expansion. I can only hope they remember we exist in the next. My talking chandelier and I are going to **** you up! Aw, man. The Naaru have not forgotten us, but Blizzard has. Tier 13 will not be available at all from valor points. It’s an interesting departure from the previous models. I’m a bit leery of this change if only because of the fact that drops for tens are so fickle. We had the same token something like four weeks running. There are still people on our token (our priest, myself) who don’t have shoulder or head tokens. At least if my armor looks like the most terrible mishmash of random Firelands stuff mixed with whatever T13 off-set will be, I’ll be able to Transmogrify it to look halfway decent. Unless there IS no T13 off-set. Hmm. I’ll have to reserve judgement on this for the time being. The new legendaries are two daggers (main hand and offhand) that are only usable by all three Rogue specs. Combat Rogues will be made to use these daggers as well without a DPS loss. The questline will revolve around the pure black dragon (from the egg in the Badlands) and features several Rogue-centric elements. Good. I’m happy for our rogue (our ONE rogue). A legendary that doesn’t cause guild drama is okay in my books. Now this is interesting. They obviously know that ranged DPS is strongly favoured over melee, and has been for quite a few tiers. Without taking into account the interrupt requirements of T11, in almost all cases it was a no-brainer to stack ranged DPS. Now that my offspec is a melee DPS I’m definitely feeling it. It’s like, I COULD go retribution for this fight but that would bring us up to x number of melee and probably hurt us in the fight overall. It’s frustrating. This is a bit of a bandaid solution, but at least it says that the issue is on their radar. For raiders, this will be an interesting move from epic gems of previous expansions. Epic gems will drop in the new raid in Normal and Heroic only. Each player gets a geode when a boss is killed which has a small chance to contain an epic gem, most will have rare gems. It is rare enough to take all of 4.3 to replace all of your red rare quality gems with red epic gems. Even with limited gem availability, it’s always been our policy to put the BEST available gems in your gear, regardless of item level. If it was available, and an upgrade – you had to swap them out. It doesn’t sound like that’s going to be a viable option here, depending on how truly rare they are. If there are never any on the auction house, you can’t very well buy them to put in your gear. This may lead to some careful consideration about just what gear you put your fancy new gems in, when you can get your hands on them. Will any of them be prospectable? Will they still drop from fishing bags? Will they be buffing Jewelcrafting gems to be on par with these new ones? (I suppose not, considering that the 81 Intellect advantage a JC currently has is equivalent to the other profession’s bonuses). Firelands was nerfed so that players could see the content and continue progression instead of hitting a wall in heroic modes. “Quite a few” new profession recipes will be added. Northrend will require 2/3rd of the experience it does now, making leveling alts faster. Old PvP armor will come back for transmogrification. I should look more closely into the stats about not only who has been downing heroic bosses, but also who has been trying and failing to down them. Other than that, “quite a few new” profession recipes should be good (and may or may not determine whether I drop engineering), quick Northrend leveling will be nice for people leveling alts or new characters, and more Transmogrification options are always welcome. 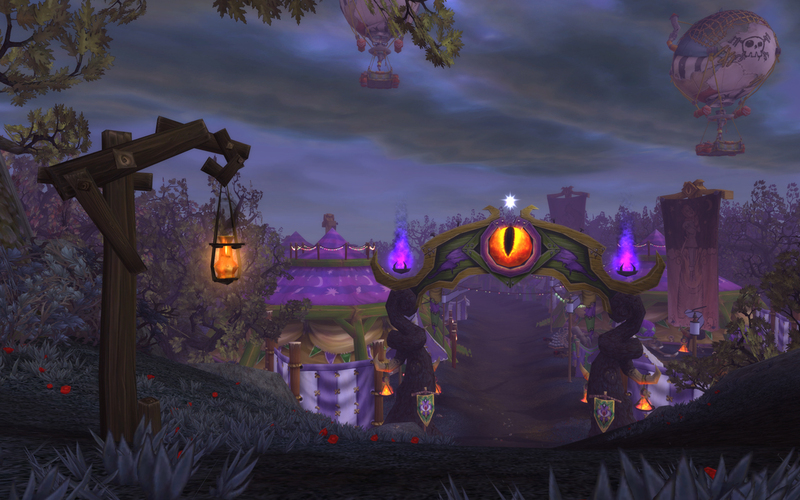 Besides all of that, don’t forget that this patch also includes the new and improved Darkmoon Faire. There should be quite a bit going on when the patch comes out!